Lock-Tech-Systems has secured the contract to provide Access Control and Assisted Environment technologies at Family Housing Association’s new Extra Care Housing facility in Cardigan. The new building is to be purpose built to make available the very best level of care and independent living to the over 55s. The Family Housing Association has been providing housing management and support services for those with additional needs for over 30 years and the new building has been designed with the aim of allowing tenants the best possible combination of security, support and independence. A housing solution from the same cast as FHA’s popular Hazel Court project, the Extra Care building is a community in itself and the building will include a cafe and shop as well as IT facilities, a hairdressers, hobby rooms and areas for casual socialising amidst the 48 seperate 1 and 2 bedroom apartments in the building. Although much is planned on site to cater to the needs of residents, the overall aim of the project is to encourage interaction with the greater community in Cardigan making tenants feel at home and stay secure at the same time. Access Control of the site is of course vital and to enable a secure and efficient solution, Lock-Tech-Systems will be installing a range of devices to both public areas within the complex and to each individual apartment flat. 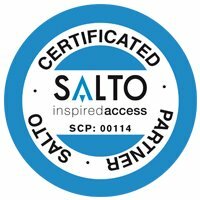 Bringing our experience from the Hazel Court project and our trademark attention to detail, Lock-Tech will be responsible for linking the independent Fire Alarm and in-building Intercom systems to the site Access Control, selected from the popular SALTO range of devices, to give flexible and reliable control over the security of the premises. To make access even easier for residents with mobility difficulties this same Access Control will be linked in to the Automatic Door operators, opening the doors on activation or by built in approach Radar or push-button. Lock-Tech will also be making available the full spectrum of Assisted Environment devices for use as required in each apartment, each solution tailored to the needs of the specific resident. Automatic Doors, Wireless Remote Control and Closed Circuit Intercoms are just a few of the many different options that combine to overcome the obstacles that impede life day-to-day and Lock-Tech are expert in getting the most out of each complementary system. 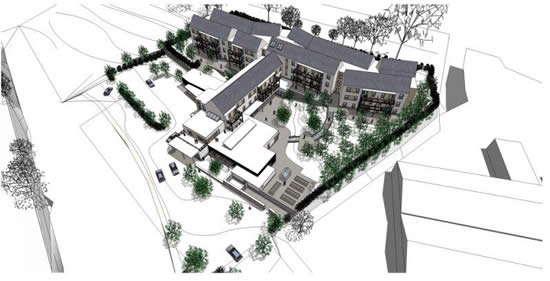 Lock-Tech will be involved through-out the later stages of specification and construction, the Cardigan Extra Care Housing Project is planned for completion and will accept residents in 2011.